This album features 30 minutes of music that was originally scored by Steve Jablonsky and featured in The Sims 3 PC version, and is now re-imagined by Junkie XL. 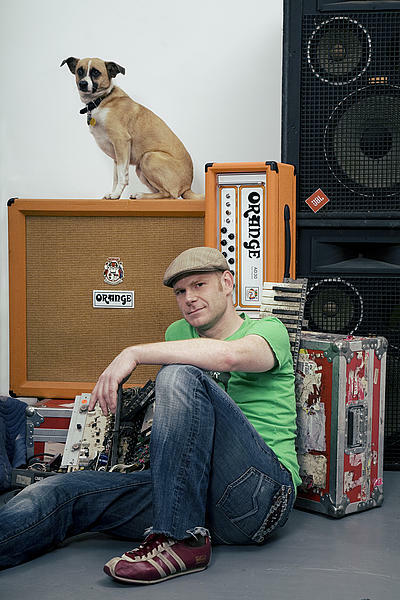 As JUNKIE XL, Dutch born musician, producer, remixer and one-man band Tom Holkenborg has become synonymous with electronic dance music. With the arrival of his fifth proper studio album, 2008’s invigorating Booming Back at You, the club culture icon and L.A. transplant has crafted a disc that not only builds on his beloved back catalogue but is also inspired by today’s vibrant new school of dance music and matches the momentum and enthusiasm of his notorious live performances. Musically never comfortable in one place, his new work highlights surprises for his fans. An electronic music jack-of-all-trades, Junkie has established himself as a world famous club remixer who has turned out epic takes on tracks by the likes of Britney Spears, Coldplay, Justin Timberlake, Scissor Sisters, Rammstein, the aforementioned Fear Factory, Bloc Party, Sarah McLachlan and Avril Lavigne. With an unrivaled work ethic, which routinely includes fourteen-hour days in his home studio, Junkie XL keeps extremely busy creating the music for video games. He has contributed music to “The Sims 2: Nightlife,” Xbox games “Forza Motorsport” and “Quantum Redshift,” as well as Electronic Art’s “Burnout” and “Need For Speed” series. He recently crafted the original soundtrack for SSX Blur, EA’s snowboarding game for the Wii.